London, United Kingdom: In a statement issued today, the Executive Board announced that The United States of America had gained the permanent membership of the International Youth Federation. According to U.S. Census Bureau estimates, there were 41.7 Million youth age 10-19 in the United States which represents 13% of the total U.S. population. 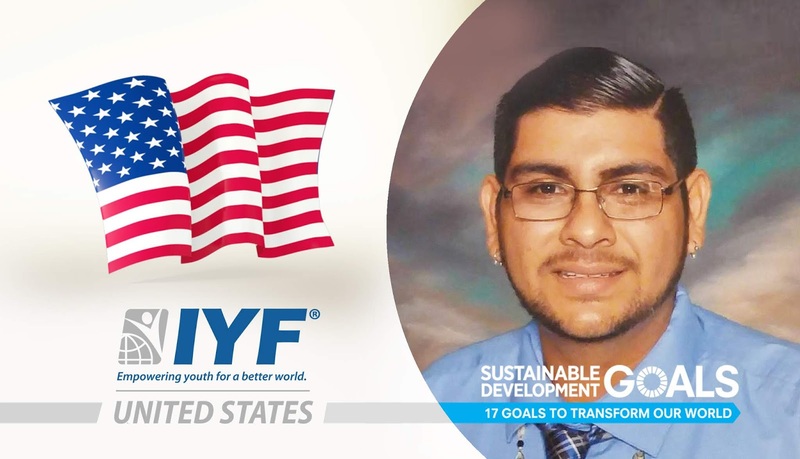 Our vision at the IYF is to enable the American youth to get their voices heard and giving talented and motivated young people the opportunity to acquire the skills and knowledge to actively contribute to the development of their societies. Mr. Ramon Montano Marquez is a young leader and an advocate passionate about community, restorative, educational and social justice and policy. A proud community advocate who believes that we need to put children and community first, Mr. Ramon is an active voice for the implementation of County-Wide Restorative Justice within the County of San Diego. A believer in vision 2030 of the UN Sustainable Development Goals and advocate for the SDG’s, Ramon’s mission is to be an active voice for Children and Youth and works to engage as many youths as possible in the process of policy and advocacy in all levels of government from Local to International. Mr. Ramon currently serves in the San Diego County Juvenile Justice Commission, Community Action Partnership Board of the County of San Diego Health and Human Services Agency, Board of Directors at the Global Campaign for Education-US, Youth Panel of the International Commission on Financing Global Education Opportunity and Global Youth Ambassador at Their World.